Mirillis Splash PRO 2.2.0 Portable » SoftLab-Portable.com - Portable Soft! Designed and optimized for HD! Play and convert all your High Definition movies and camcorder clips, incredibly fast, smooth and without problems. You don't need any additional codecs. Download, install, watch, convert and share. It takes about one second to start application and High Definition video playback! 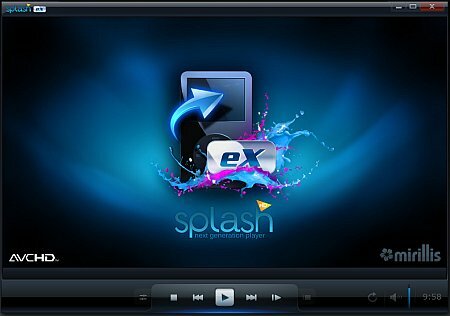 Splash PRO EX combines all the features of Splash PRO with easy and fast exporting of videos to popular devices, Facebook, YouTube and more! Splash PRO EX advanced exporting view allows you to convert multiple HD clips simply and fast. You can also create HD video compilations from multiple source clips from which you can remove unwanted parts.